I LOVE this series and highly recommend it!! I couldn't put it down when I began reading "Sterling"! Here is a short excerpt to wet your appetite! “You taste as sweet as you look,” he said, tongue tracing lower until it found that annoying fabric of my bra. Simon could have torn my clothes off in five seconds and I would have been game, but he took slow seduction to a whole new level. We were drunk with spirits and energy, and the rest of the world melted away. My fingers curled around the leather collar on his neck and pulled away the latch, sliding it free and tossing it aside on the bed. I never imagined myself with someone like him; Simon was unlike anyone I had ever met. It felt decadent, as if I were indulging in a sinful chocolate that I knew was bad for me. She survived, saved by a stranger who witnessed her undergo a physical transformation. That's not the only thing that's different. Zoë is unable to control an unexplainable energy coursing through her body. and the value of loyalty. 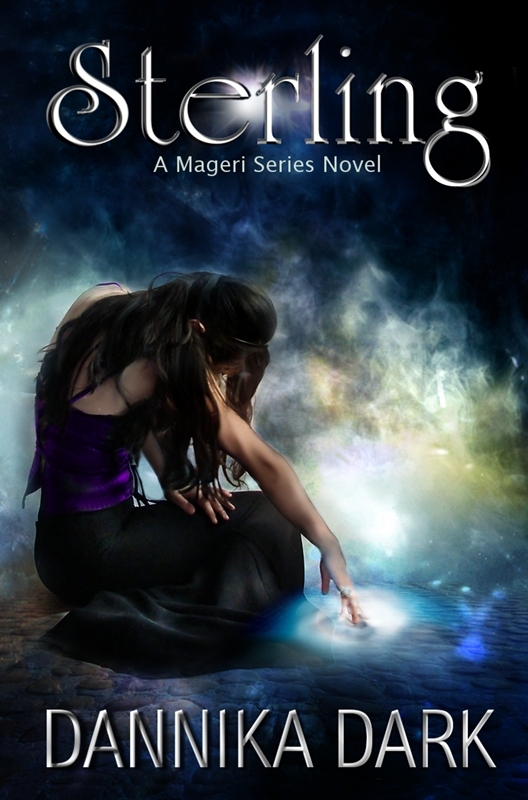 "STERLING" is a dark urban fantasy with an evolving storyline. The sequels have become immediate reader favorites, combining Urban Fantasy with Romance, and Reality with Fantasy. 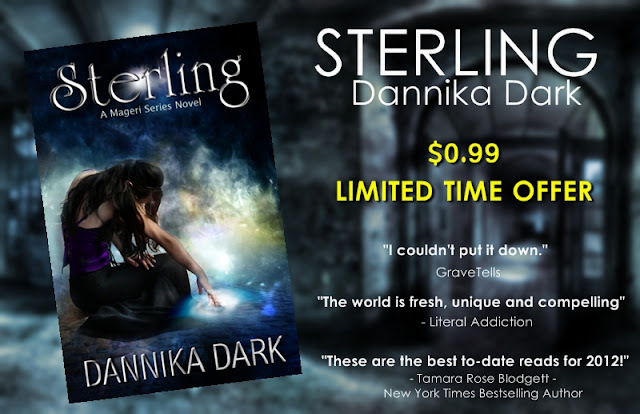 "Sterling was fresh, humorous, and gripping. One of the most balanced stories in terms of darkness, action, romance, and humor that I've read in a long time. I couldn't put it down and was reaching for the sequel as soon as I finished it. Sterling is a GraveTells Must Read!" "STERLING gets a killer endorsement. This one has that spark, that enigmatic something that pushed me forward. It's unique and that's what got my full attention." "Ms. Dark did and amazing job with this, her debut novel. I am so impressed with the level of creative thought that went into crafting the world of the Mageri. This is a departure from, vampires, werewolves, zombies and the like." "Dannika throws the reader into her unique fantasy world where literally everything you thought you knew is thrown out the door and reinvented in a smart new way.... The world is fresh, unique and compelling"
"It stands on its own because the story is very original."